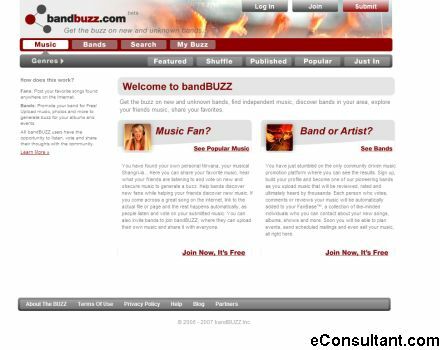 Description : BandBUZZ was developed to enable millions of internet users to discover new, independent music without the intervention of slick marketing reps or data analysts. You won’t find any algorithms here trying to mimic your taste while secretly collecting your preferences to sell to record companies. You won’t be solicited by corporations posing as teenage girls in bikinis who want to be your friend. And, most importantly, as an artist, you retain the rights to your music. BandBUZZ puts the power back in your hands.